Effective November 5, 2010, the US Small Business Administration will be adjusting the limits and guidelines as to what defines a “Small Business” for a number of SBA programs including SBA loans, small business set asides for government contracts, and other programs. Basically “small” just got bigger. This change is designed to make capital and opportunity more accessible to entrepreneurs and small business. The goal: help these businesses grow so they can create more jobs. 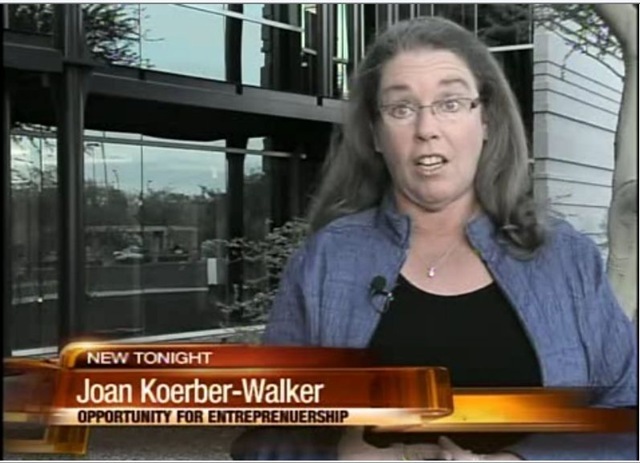 On October 21, 2010, I had a chance to speak with ABC 15 reporter Angie Holdsworth on why this is good for the economy and creates more opportunity for entrepreneurs. You can watch the video from the News at 10 and connect to a link to Angie’s story below. To learn see a snapshot of the SBA loan history for FY 2009, FY 2010, FY 2011 YTD ( the US Government is already in Fiscal 2011) click here. These are big numbers BUT with President Obama signing the Small Business Jobs Act into law on September 27, 2010, there is $30 Billion more in SBA loan support available. And for it to help “re-set” the economy it needs to move from banks to business. By making the pool of eligible businesses larger, the hope is that the money will move the economy forward faster. Small businesses, and specifically those in the second stage category of 10 to 100 employees with $1M to $100M in revenue are the single most productive segment for net new job creation. Data from the Edward Lowe Foundation’s research site Your Economy.org illustrates the impact of second stage companies as the singe largest driver in the creation of net new jobs year after year. These companies need capital to grow and do their bit for job creation and the economy. The SBA’s action is designed to open up access to capital and opportunity to more of these companies. The best way to learn if this change benefits YOUR business is to talk to the SBA. Representatives from the US Small Business Administration (SBA) and Greater Phoenix SCORE will be be on hand at the fifth annual Arizona Entrepreneurship Conference (AZEC10) on November 17, 2010 at the Desert Willow Conference Center in Phoenix. Both the SBA and SCORE are great resources for entrepreneurs in gaining a better understanding of how they might use SBA programs to access capital for growth, compete for government contracts, and use other programs specifically designed to help small businesses grow and create jobs. In addition to the opportunity to learn more about the great resources available from both the US SBA and Greater Phoenix Score, attendees at AZEC10 will hear from and meet thought leaders from around the country, successful CEOs who are making it happen even in this economy, as well as entrepreneurs from across North America. To learn more about AZEC10, this year’s speakers, and to register, click here. Thanks for stopping by. Stay tuned… there will be more entrepreneurial profiles and AZEC10 behind the scenes glimpses between now and AZEC10. Note: Joan Koerber Walker serves as Chairman of the Board of The Opportunity Through Entrepreneurship foundation,which is the host organization and sole beneficiary of AZEC10. She also serves as an Ambassador for Greater Phoenix SCORE. To learn more about OTEF, visit www.otef.org.